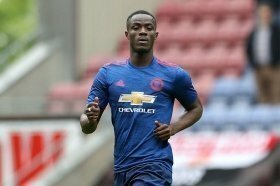 Arsenal have reportedly failed with an approach to sign defender Eric Bailly from Manchester United during the ongoing transfer window. The Ivorian has struggled for regular gametime under both Jose Mourinho and Ole Gunnar Solskjaer at Old Trafford this term, bagging just six league starts from a possible 23 thus far. Owing to this, he has been linked with a potential move away from the Mancunian giants and The Mail claims that the Gunners had made an attempt to sign him on loan with the obligation to buy in the summer. However, their efforts have been knocked back by the Red Devils, who are not keen on selling the defender to one of their main top-four rivals at the midway stage of the season. Bailly's current deal with United is due to expire at the end of the 2019/2020 season but the club are in no rush to sanction his sale, given they have the luxury of a two-year extension clause.